If you have been playing Magic for any length of time, you quickly learn that you have to get ahead of standard rotation by trading or selling any valuable standard cards you own before they rotate. Because as we all know, card value crashes and burns after rotation. This is the kind of old hat basic wisdom that most everyone reading this article already knows, so let us move on to the next level. Next, we learn that we can score some upside by buying and trading into old rotating standard cards as they rotate, if we think we they'll continue to see play in other formats like EDH, modern or casual. 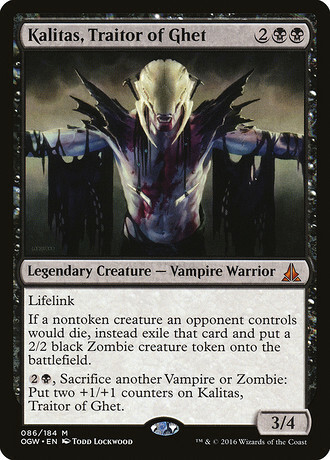 These days most people are generally aware of the opportunity of buying into standard cards after rotation. Today we'll ride up the escalator to the next level of standard rotation wisdom by asking the another question: How long should you wait after rotation to buy/trade into the cards we want in order to maximize value? If you want to buy a card and have fun with it, then by all means just buy it whenever. This article is for those degenerates among you, like me, who want to really min/max value on your collections and are willing to be patient. I have seen the following messaging from various MTG finance folks as far as when to buy standard cards after rotation: Right before rotation, right at rotation, a week after rotation, a month after rotation and so on. I'm not the first person to say wait about three months, my answer to the question, but I do not hear this advice presented very often. So for those redditors among you, the TLDR is wait about three months, until the next set is released after standard rotation, then start picking through the cards after they have been out of standard for a few months. How do I come to this conclusion? By looking at history. Keep in mind no rule of thumb works in all situations, but my advice here seems reasonably sound in most situations. Specifically we are looking back to the last rotation when Battle for Zendikar, Oath of the Gatewatch, Shadows over Innistrad, and Eldritch Moon all rotated out of standard. For those who may not recall, the last rotation happened when Ixalan was released back on September 29, 2017. Here is how this is going to work, we are going to look at the prices for several cards in terms of their price at rotation ("AR") (9-9-17), about three months after rotation ("3MO") when the next set launched, which was Rivals of Ixalan, and the current price ("CP") as of July 19, 2018 (when I am writing this article). For these example prices I stuck with the most relevant modern cards, and a handful of cards relevant to EDH. Some of these cards were already a little more expensive three months later than they were at rotation, but generally not by very much, and even though sometimes we missed the lowest buy in with the three month method we do not miss it by too much when we do miss. Another interesting thing to note, is that when a card is already rebounding after only three months post rotation, generally that card is going to go on and post some reasonable price gains over the next nine months, and we are still in early enough to capture most of those gains at a very reasonable entry point. Some cards decline in price from rotation all the way to three months later, and continue to decline. On these, at least we can say we did better than if we had bought in at any point earlier in time. With all this in mind, the only card where my method of buying in about three months later, when Rivals of Ixalan was released, that is a clear failure is: Spell Queller. It would have been cheaper to buy it right at rotation rather than three months later. And from the three month mark up until the time of the writing of this article we are actually down about a dollar at current price. If instead we had purchased at rotation we would be up about fifty cents at the current price. I actually think it is kind of amazing that using this method and evaluating a fair number of the most relevant modern cards that rotated, we only had one true solid fail case, and we only lost a dollar even in that worst case. 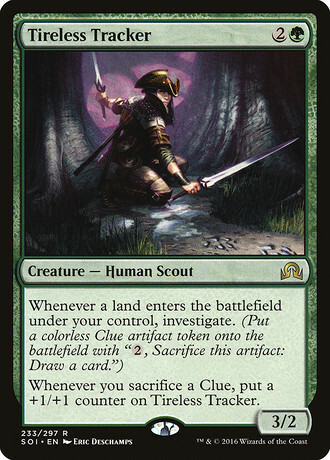 If we had bought a playset of all of the cards listed above three months after they rotated and then traded them off or sold them now, we would be making out with a decent profit as some of these cards like Tireless Tracker and Collective Brutality have spiked pretty hard. I'll admit that a lot of these were at a good place to buy in on at one month after rotation, but a fair amount of these cards were still in decline. Feel free to do your own research from here and come to your own conclusions. My concern comes from having found personally that buying in earlier than three months post-rotation can be too soon and generally three months out, even the cards that end up popping up really well on their prices have not started to rebound very much yet. This makes the three month mark a fairly safe spot for not buying in too early or too late. My two cent advice is do not run out and buy up all the random cards you believe that will be EDH or modern relevant at standard rotation. Instead, wait until the next set comes out about three months later after rotation. By then people will have had more time to dump their old rotated standard cards that they do not need. Also, buying cards that are not that exciting to most people at the same time as a brand new set launch with new exciting cards filtering out into the market seems like a solid way to do things to me. I have been playing since Tempest, Magic Online since 2008, and Pauper since 2009. I focus on playing Magic for free both on Magic Online and in paper. Mainly I like Pauper & MTG Finance. Today, Ted talks about navigating the challenges of being a small MTG content creator.. Wait a second, that's not Ted, it's one of those damn HOOLIGANS again!